The Marquette County Medical Care Facility is a family environment located in Ishpeming, Michigan, where people both young and old, share their lives together. 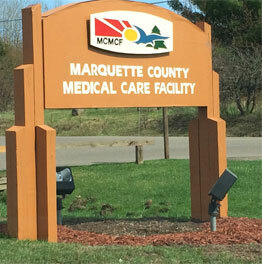 The MCMCF was established to provide quality long term and rehabilitation services to residents of Marquette County. We believe that quality of life goes beyond medical treatment and are committed to serving the total physical, recreation, spiritual, personal, and social needs of each of our residents. Each staff member is dedicated to service our residents with dignity and respect.